This year at the Albert Gore Research Center we decided to do something a little different for Veterans Day. 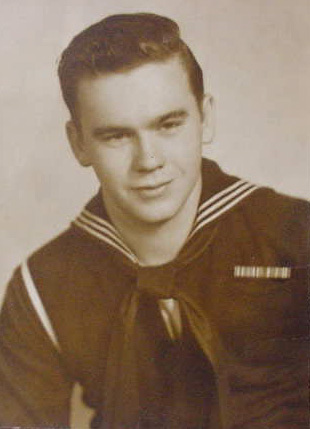 Back in September, we began looking through our large collection of oral histories from the Middle Tennessee Oral History Project and Veterans Oral Histories to better understand the diversity of service and experience. From World War II to the recent wars in Afghanistan and Iraq, Middle Tennesseans have served across the globe in a number of military branches and functions. Most importantly, we were reminded that no two war time experiences were the same. It is quite simple to forget about the contributions and sacrifice of the individual when thinking about the larger action and consequence of war. When all this started, we were all kids and until we were on the end of a gun or firing at the enemy and the first shot was fired, we began to grow up. And with each invasion or battle and a funeral, we were really men. Every day, each month, we became real friends, and if there were every a family, this was one. 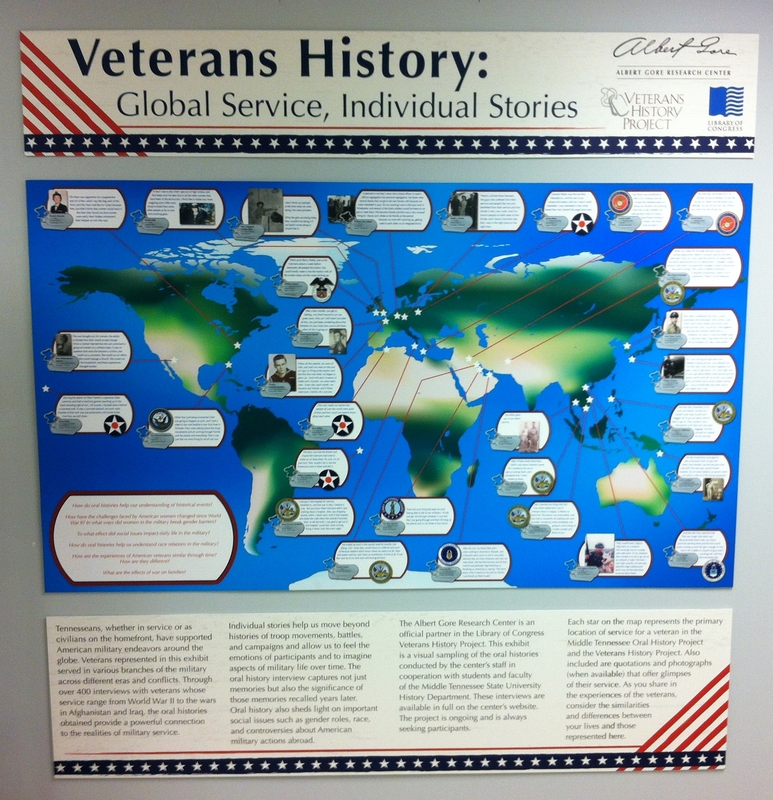 In order to highlight the veterans’ voices in our collection, we decided to create a small exhibit that connects their stories with a place on the map. The words of Charles Frederick Jacobus and many others make us think about the past in different way. Oral histories evoke an emotional human element that reveals both events of the past and the ways individuals remember these experiences. We have also pulled several of our WWII museum objects that focus on the Tennessee Maneuvers and women’s roles in United States military. 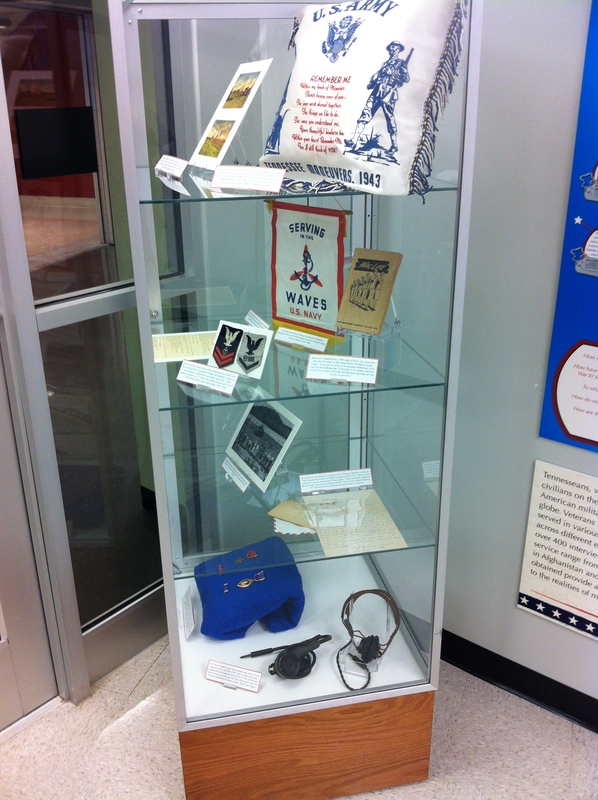 Please stop by anytime to check out the exhibit, ask questions, or further explore our collections. We are open Monday-Friday, 9:00am to 4:00pm.